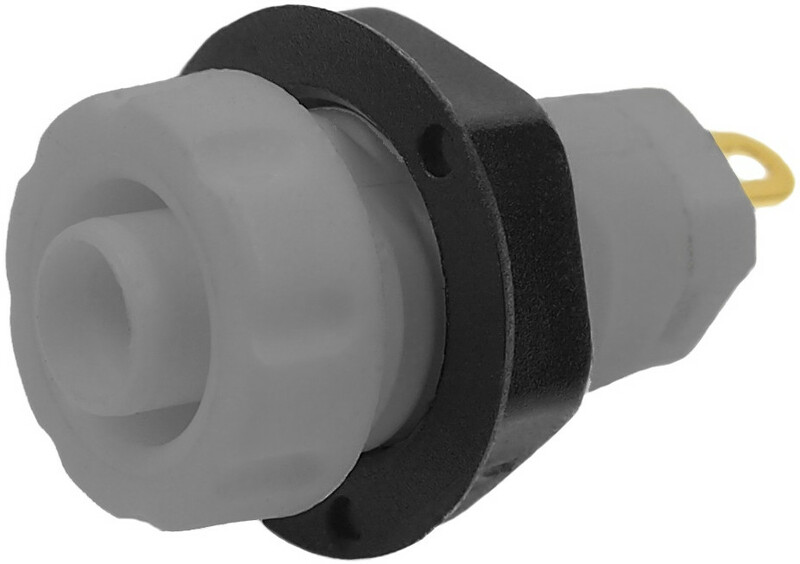 Our range of chassis sockets are made from high grade engineering plastics. 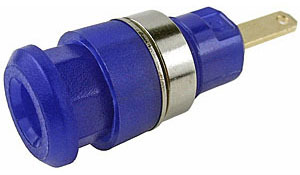 Metal parts are precision machined and nickel, silver or gold plated. 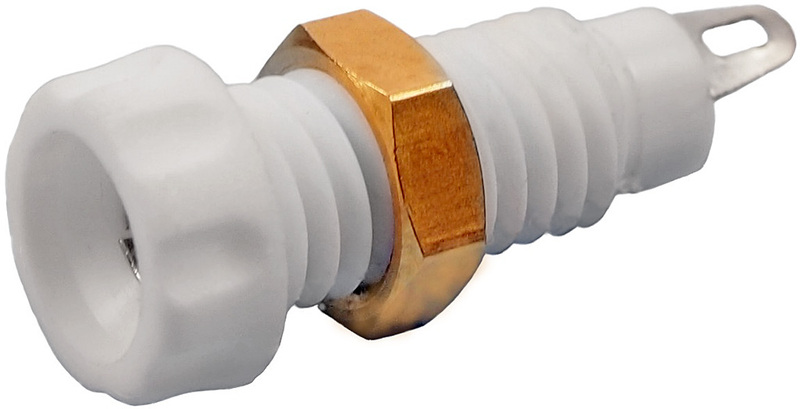 The 4mm models have a variety of tag options. The most professional models are insert moulded. 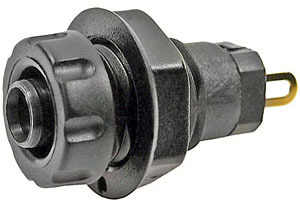 molded. 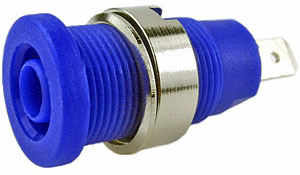 Mounting handware is supplied or available to order. Jump down to S18, S14, S16C, S16N, S16NS, S16N-PC. 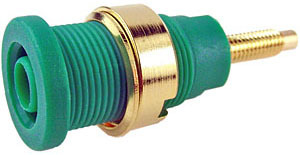 Unshrouded 2mm gold plated socket. 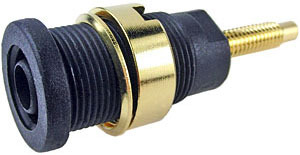 Mates with P18 plug. 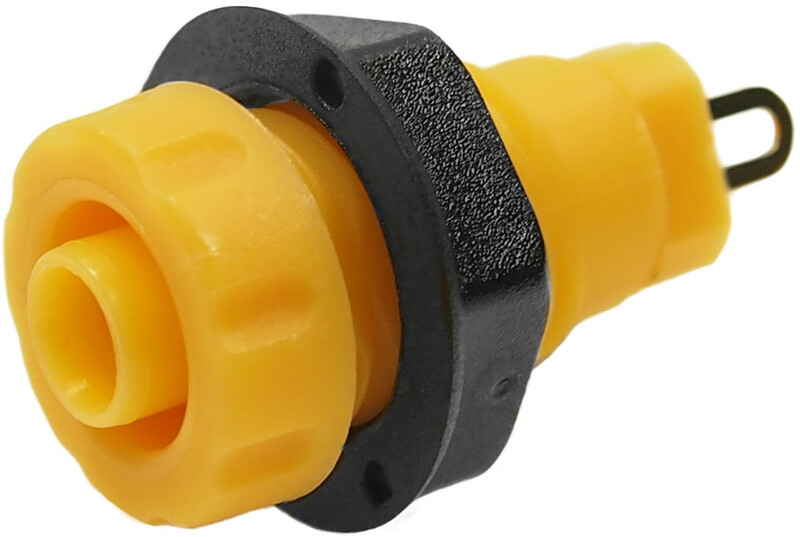 Rated 600V, 10A maximum, CAT III. 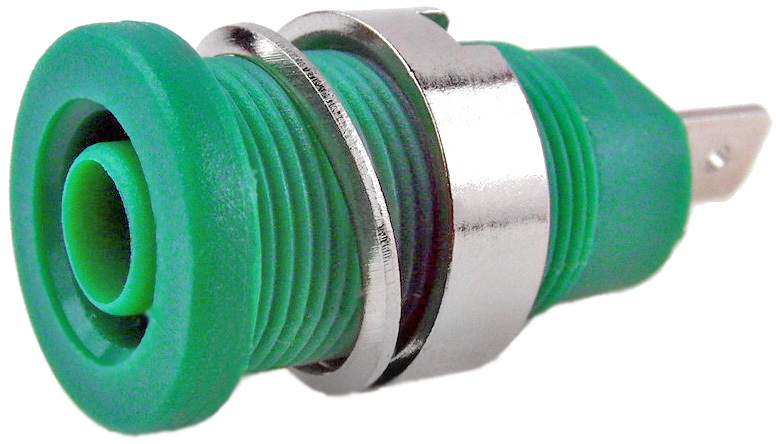 Unshrouded, 4mm, nickel plated socket. 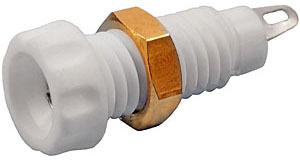 Mates with most unshrouded plugs. 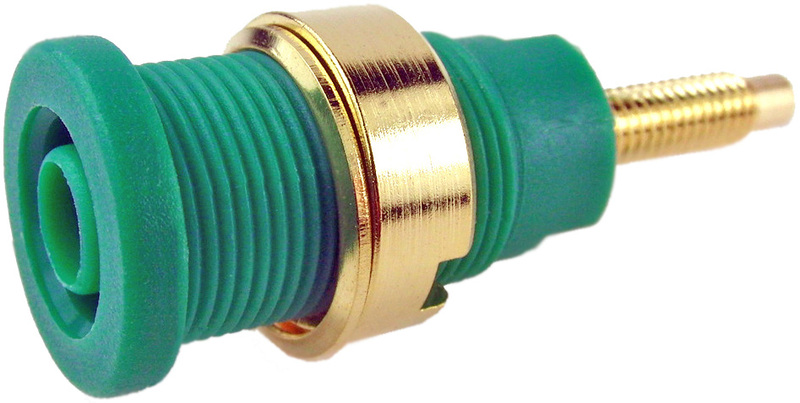 Shrouded, 4mm, gold plated socket. 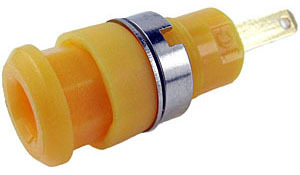 Mates with shrouded or unshrouded plugs. Rated 1000V, 30A maximum, CAT III. 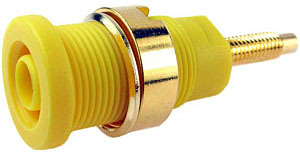 Shrouded, 4mm, nickel, tin or gold plated socket. 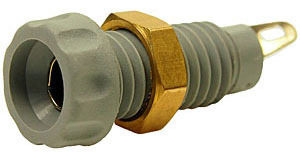 Mates with shrouded or unshrouded plugs. 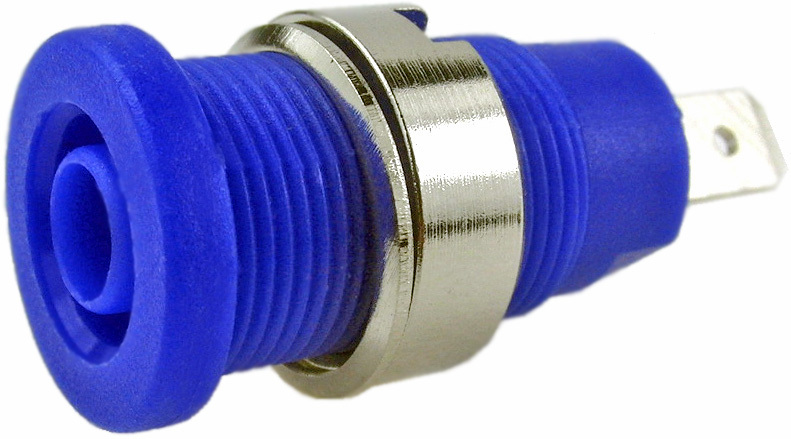 Available in various colourscolors and terminal options. 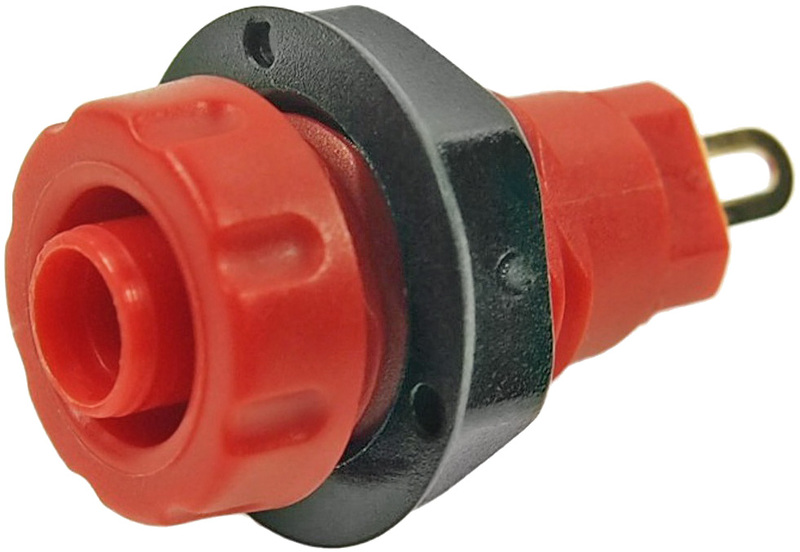 WNW. 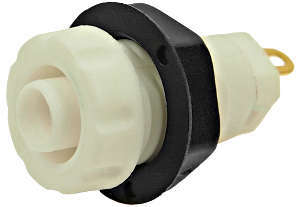 FCR73575B 4.8mm FastOn tag - Black. FCR7356B 6.3mm FastOn tag 32A - Black. 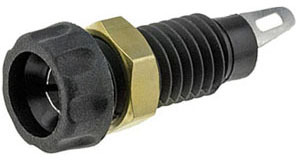 FCR7357B Solder tag - Black. 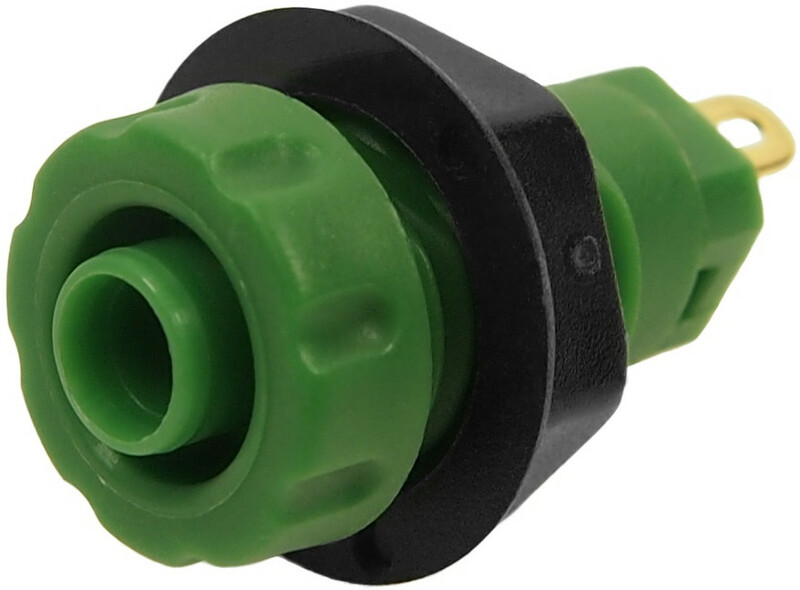 FCR73575G 4.8mm FastOn tag 24A - Green. FCR7356G 6.3mm FastOn tag 32A- Green. FCR7357G Solder tag 24A - Green. FCR73575L 4.8mm FastOn tag 24A - Blue. 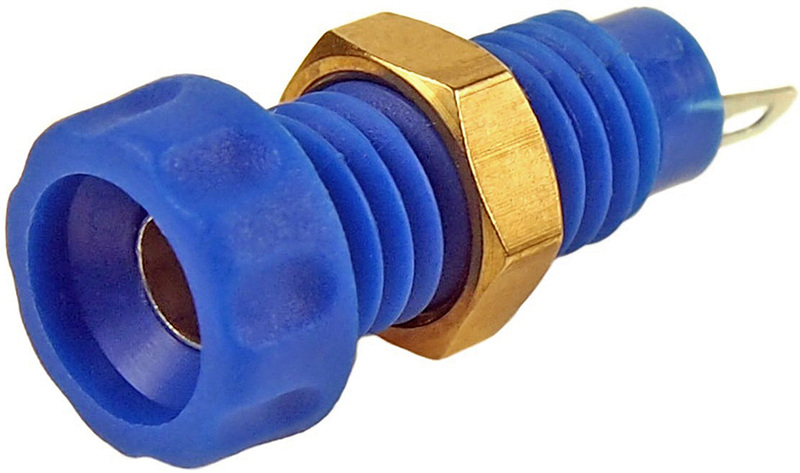 FCR7356L 6.3mm FastOn tag 32A- Blue. 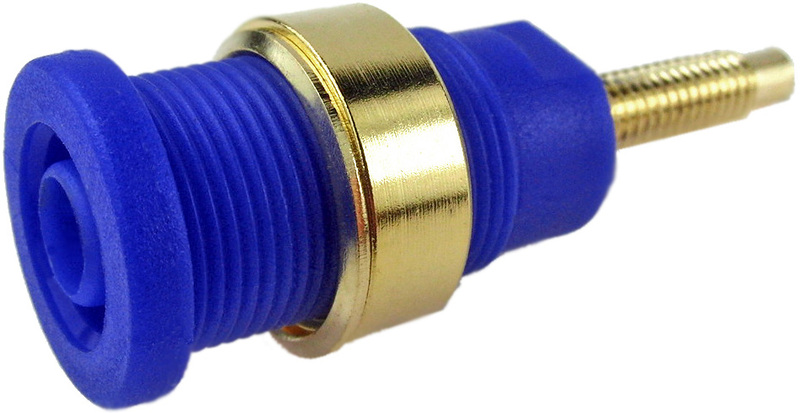 FCR7357L Solder tag 24A - Blue. 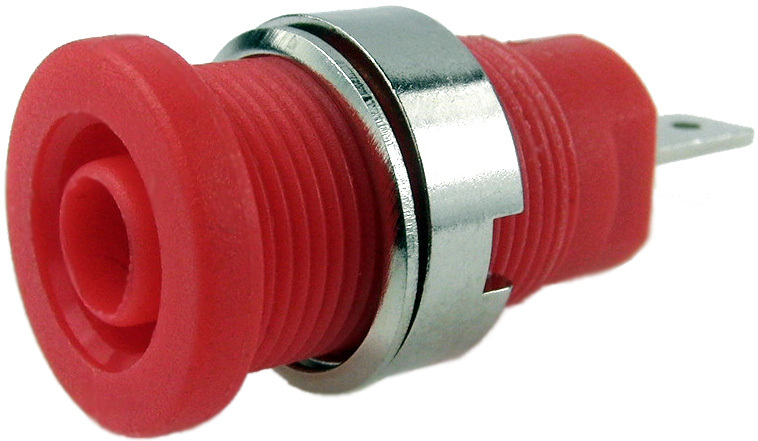 FCR73575R 4.8mm FastOn tag 24A - Red. 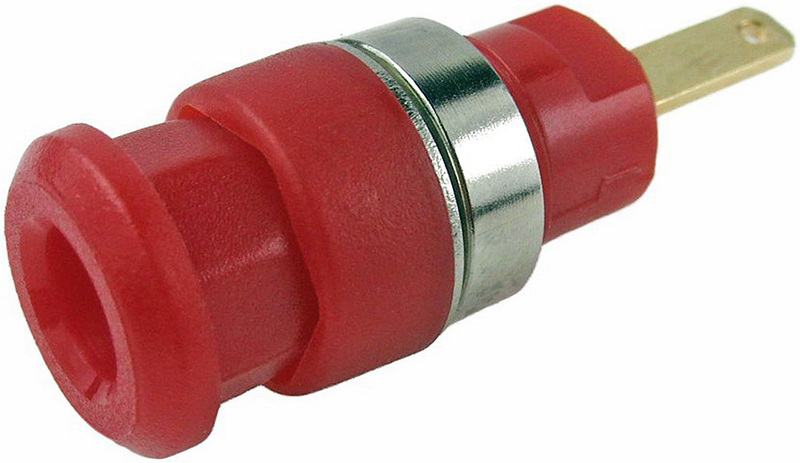 FCR7356R 6.3mm FastOn tag 32A- Red. 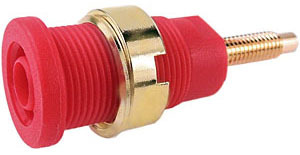 FCR7357R Solder tag 24A - Red. 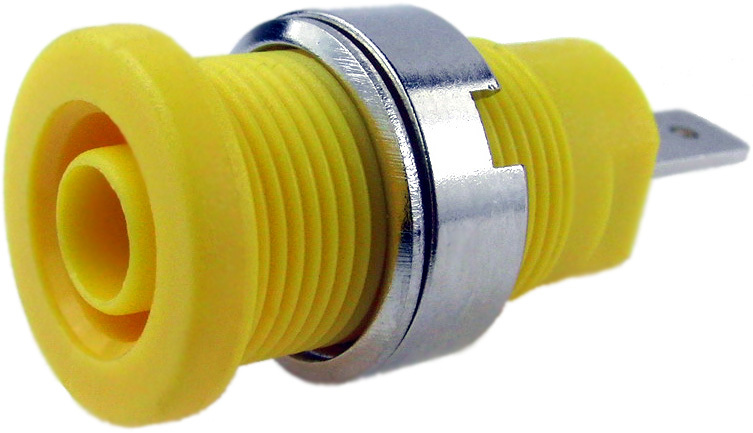 FCR73575Y 4.8mm FastOn tag 24A - Yellow. 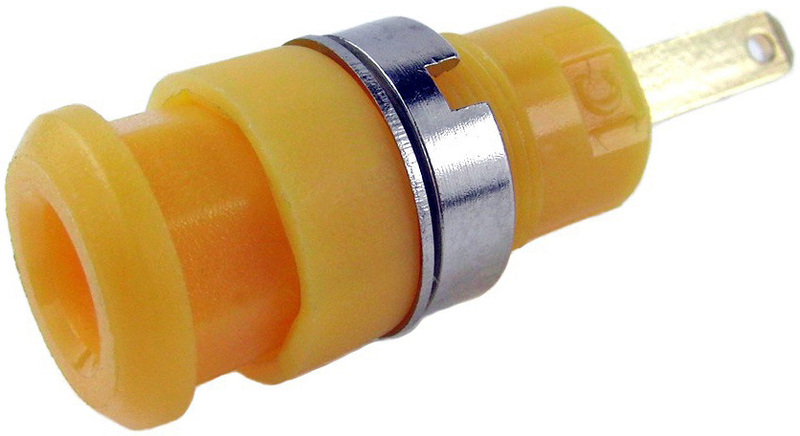 FCR7356Y 6.3mm FastOn tag 32A- Yellow. FCR7357Y Solder tag 24A - Yellow. 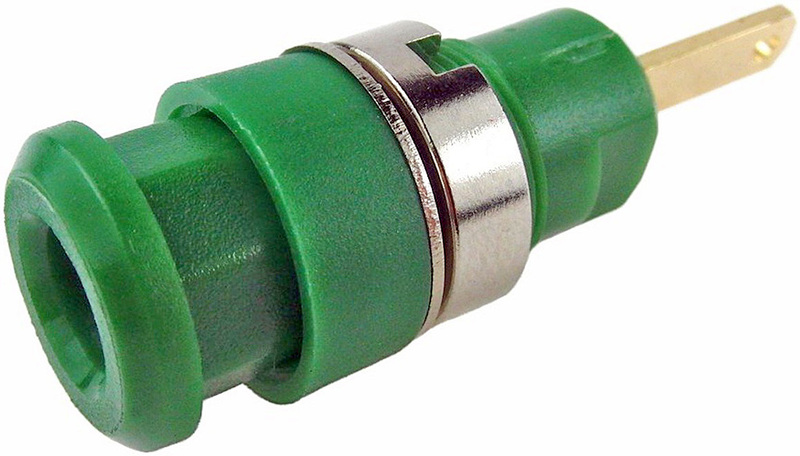 Rated 1000V, 32A, CAT III. 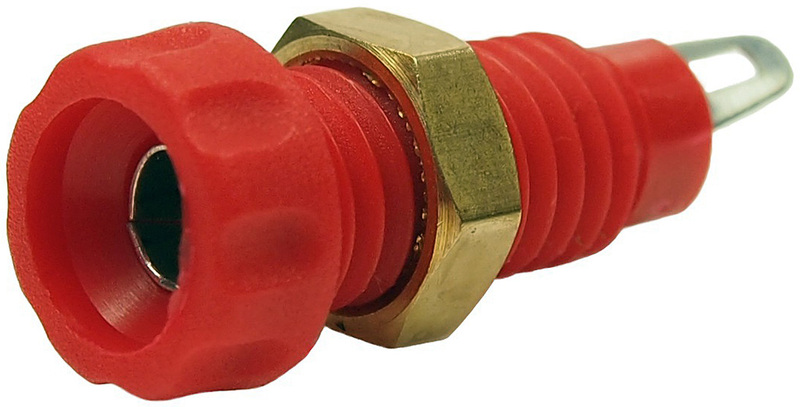 Supplied with M4 nut and washer. 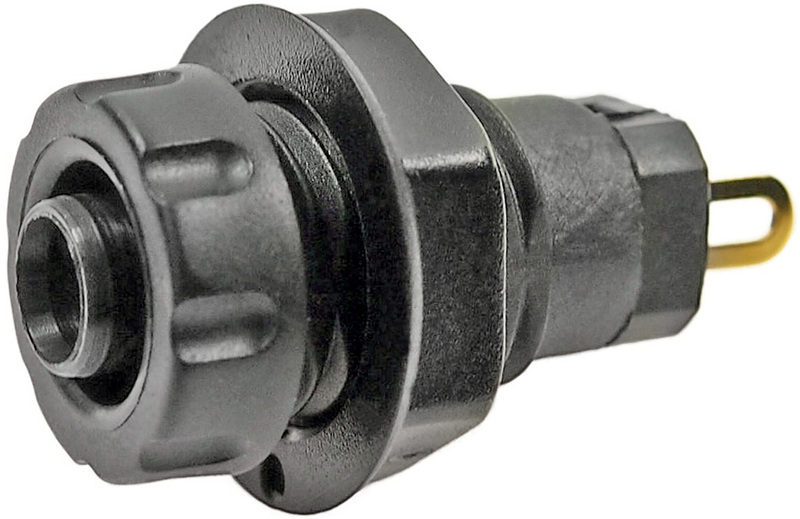 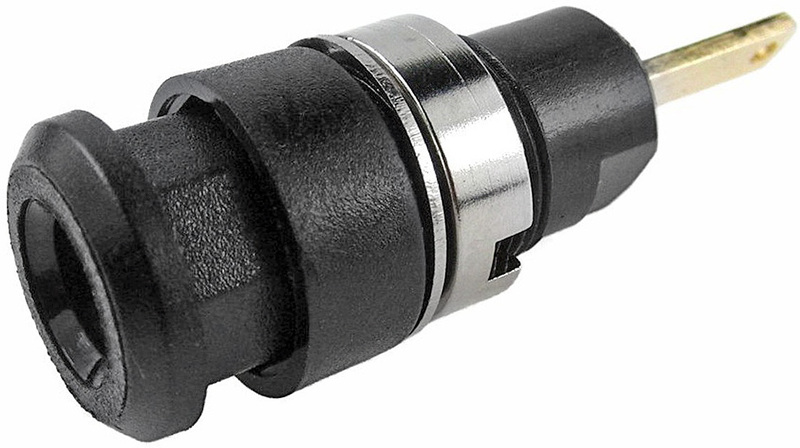 FCR7358GB M4 threaded stud - Black. 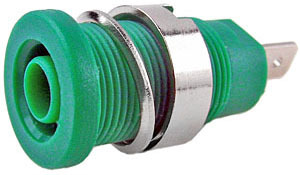 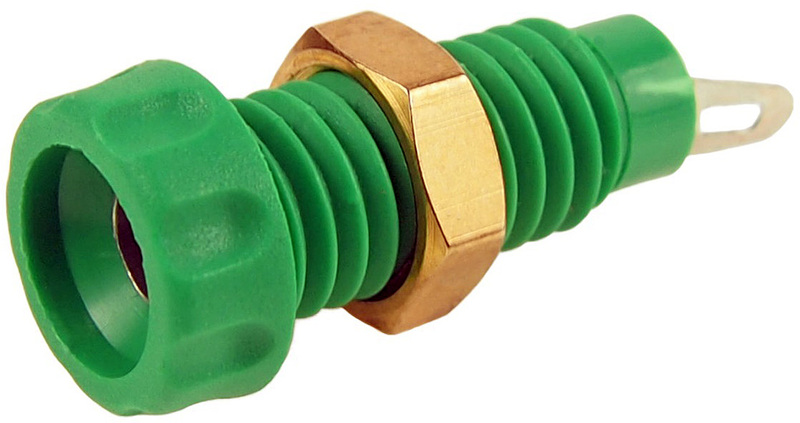 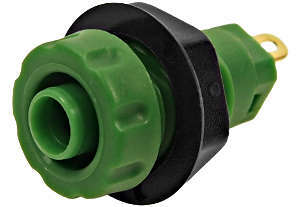 FCR7358GG M4 threaded stud - Green. 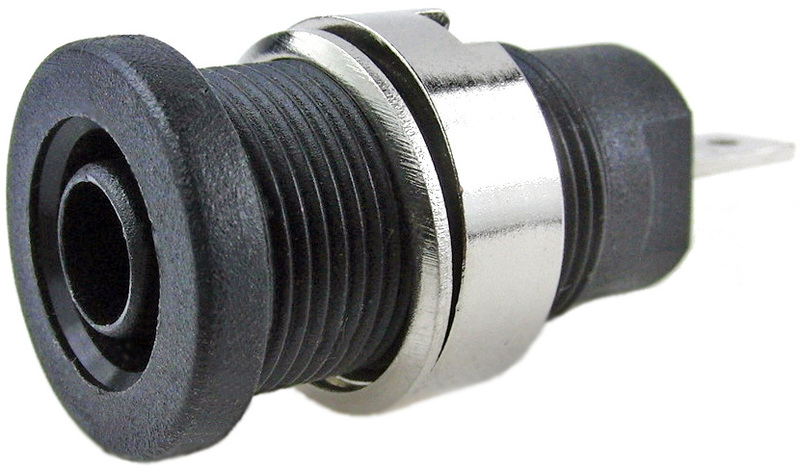 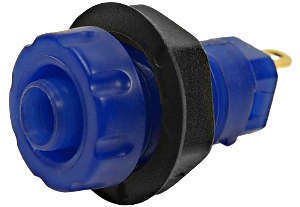 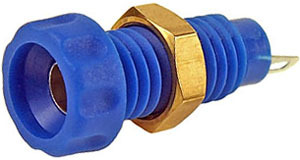 FCR7358GL M4 threaded stud - Blue. FCR7358GR M4 threaded stud - Red. 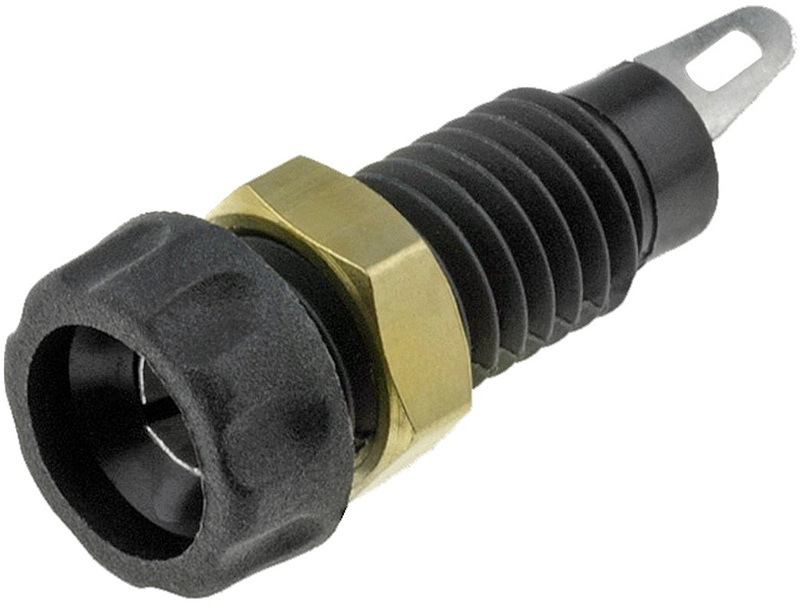 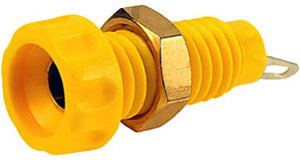 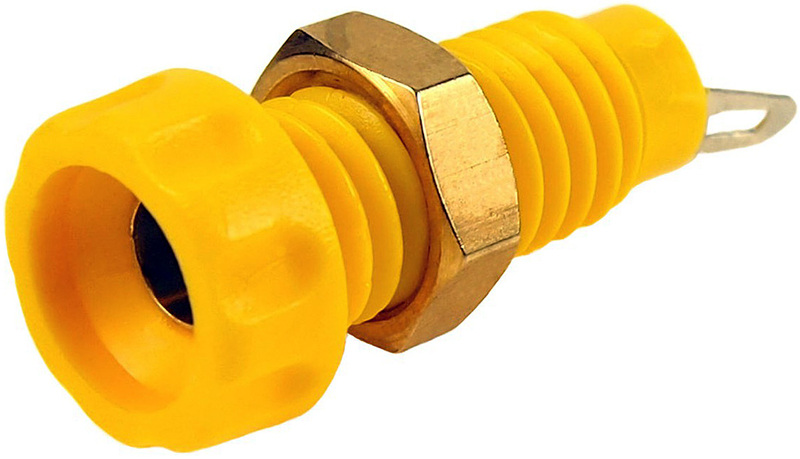 FCR7358GY M4 threaded stud - Yellow. Rated 1000V, 24A, CAT III. FCR7350B 90° PCB mount - Black. 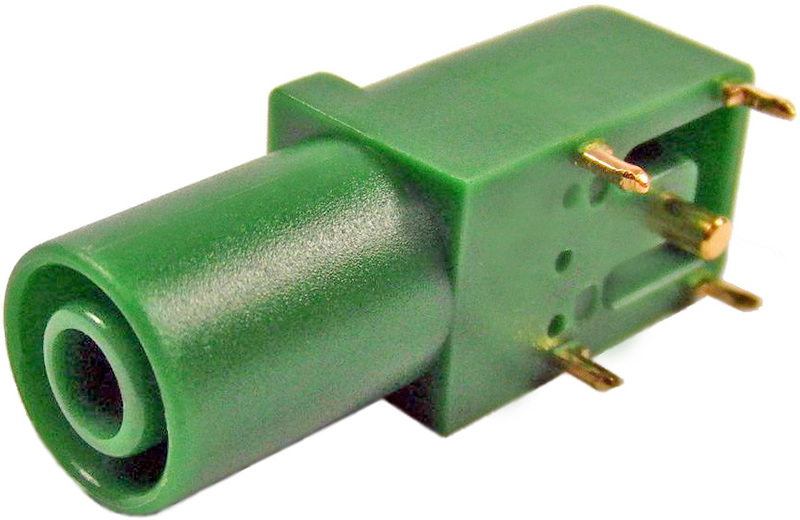 FCR7350G 90° PCB mount - Green. FCR7350L 90° PCB mount - Blue. FCR7350R 90° PCB mount - Red. 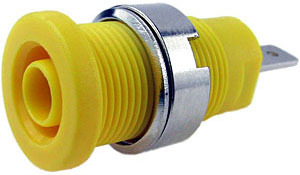 FCR7350Y 90° PCB mount - Yellow.